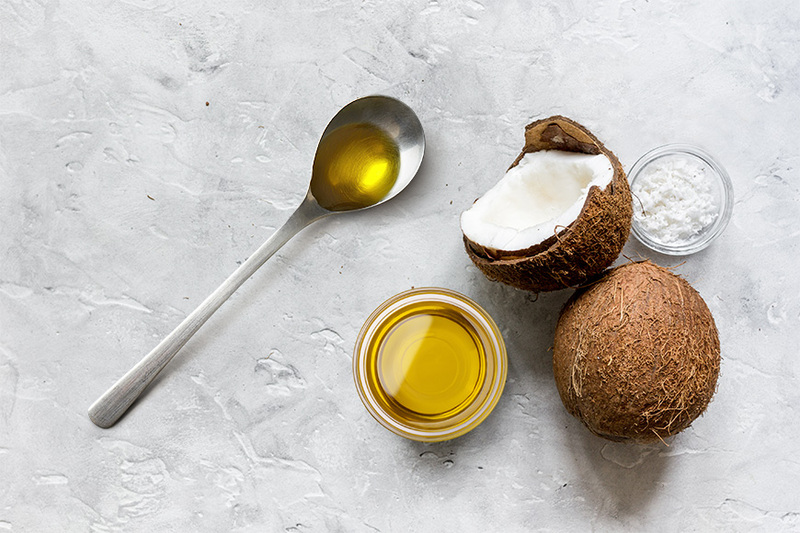 Now Reading: Oil Pulling: why is it cool again? 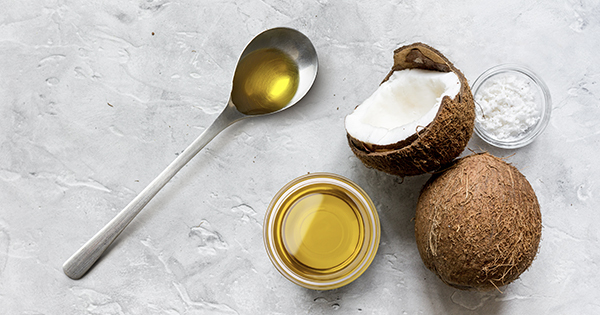 The world is waking up to many forgotten practices, and ‘oil pulling’ is one of them. Just like Yoga, turmeric latte and copper utensils, Ayurveda’s oil pulling or Kavalagraha has got bloggers and celebrities reviving it from the treasure trove of time. If you’ve never heard of it before, don’t let your imagination run away with you. It is not at all what it sounds like. Oil pulling has to do with swishing. That’s right, it involves taking 2-3 tablespoons of oil, and swishing it about in your mouth for anywhere between three to five whole minutes. Although it sounds like the last thing you would want to do, especially as soon as you wake up & even before brushing your teeth, there’s a world of good it will do you. Ayurveda claims it helps with dental health, depth of voice, strength of jaws and, (here’s why we are talking about it) hair health! What’s the connection between hair and oil swirling about in your mouth, you ask? Dr. V. R. Padmanabha Rao, of Amruth Ayurvedic Centre says that it promotes hair strength because of its ability to ‘pull’ out all the body’s toxins and activate your hair follicles. So, we decided to test drive this for ourselves. Here’s what it takes. Make sure you do this at the start of your day on an empty stomach, and before you brush. Take 2-3 tablespoons of coconut, sesame, or mustard oil in your mouth. Although you can try this with a variety of oils or even ghee, our Ayurveda experts recommend you find the ideal oil for your dosha. Swish the oil around in your mouth for about 3 to 5 minutes. Here, it is getting stimulated to gradually pull out all toxins from your body. Read the paper, check your Instagram or messages to pass the time. But make sure you don’t swallow it. After the swishing is done, take it to the back of your throat, gargle, and spit the oil out. It should now be whitish and thinner in consistency as your saliva and the oil have mixed. Rinse your mouth with warm water, and you’re done! Now you can brush your tea, get yourself a cuppa, and get on with your day. According to Dr. Rao, you can make the Kavalagraha even more beneficial for hair by infusing the oil with hair-loving ingredients. - Or just take coconut oil, add a handful of bhringaraj leaves to it. Keep soaked overnight, and start using the oil from the next day. After 10-15 days, refresh the leaves. - You could also add methi seeds or curry leaves to the oil. If you feel like the oil pulling is something that you cannot get used to, then there is a simpler version called ‘Gandusha’. Here, you take about 15 ml of oil in your mouth, keep it in the mouth for 1-2 minutes, and then spit it out. There is no rinsing involved. Right now, it’s been three weeks since we started Kavalagraha. If you want our opinion, this fad is here to stay. We highly recommend it for the overall feeling of being energized and cleansed at the start of a day! When you try it, one of the first things you will notice in a few days is that your pearly whites are shinier. Another noticeable benefit is the clearing up of one’s sinuses and improved breathing. After about two weeks, the hair benefits start kicking in. You’ll find dandruff gone, and fewer strands of breakage. Dr. P Sanmathi Rao of Sriranga Ayurveda confirms that Kavalagraha clears up one’s doshas that are blocking hair growth and causing problems in the scalp. Hence, your scalp is healthier, premature hair fall and greying is arrested, and beautiful hair is a step closer! It has multiple benefits- from boosting hair health, dental health and clearing up sinuses. It gets rid of dandruff, strengthens your hair against breakage and whitens your teeth. We tried it for 3 weeks, and highly recommend it!